Broker Training Home School Options. Immerse yourself in the same exact curriculum as our LIVE hands-on school – without having to travel. Testing and Certificate of Completion. Great for those seeking to become freight brokers, freight agents or freight dispatchers that enjoy online or self-learning. Come spend 5 days learning and working in a real freight brokerage. There is no better opportunity than putting yourself right in the middle of actual freight movements with agents and brokers all around you. Unlike other freight broker schools we own our brokerage and allow you to get a first hand experience in dealing with real shippers and real freight. Deal with Real Shippers and Carriers. More than just a lecture – NO FAKE BROKERING. Great for those seeking to become freight brokers, freight agents or freight dispatchers. The Elite Freight Broker Training School in the United States. In this class there will be no other students on site the teacher is dedicated to you. The curriculum is the same as our standard hands-on class. Learn to build a trucking agency network. *Bonus – Bring 2nd student free. Very positive. I learned a great deal from the instructors. Excellent school. I would recommend anyone to train with David, John and Ruth. I am very glad I have chosen your Loadtraining School to get my broker knowledge. When you graduate from our HANDS ON freight broker school, you will know more brokering law & techniques than 95% of the existing industry. “Broker Training” is now required by LAW (49 USC 13904). LoadTraining, with a “proctored brokering exam”, is the only broker training institution which meets Federal Standards. Join our highly trained brokering network (Truckalocity.com) as an AGENT and begin building your shipper following within days of graduation. – Earn up to 80%. – Or Start your own Brokerage / Agency. SIGN-UP FOR OUR FREE VIDEO LESSON & SIX BOOKS. This 40 minute video not only features information on what our courses have to offer. The free freight broker training kit also features information on both sides of the industry, the Motor Carrier side and the Broker Agency side. We look forward to educating you on the multiple ways to make more money in the transportation industry. We are Americas Largest & Most Recognized Freight Broker Training School. Our freight brokerage is an international network of federally licensed transportation brokers. These brokers took our 5 day hand-on freight broker school. As a graduate students from Loadtraining Broker School, you will have a business opportunity to become a freight broker agent. Instead of starting with your own license and bond immediately, which is required by the motor carrier safety administration. We save you that expense. 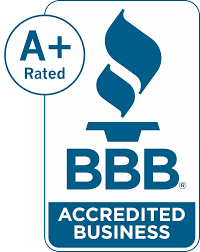 As a freight broker agent of ours, you will have instant credibility with trucking companies. Access to resources and with working capital. Loadtrainng broker agent training school will provide you with the transportation and logistics knowledge you need to obtain your freight broker license and become a freight agent or fright broker. This is one of our most popular freight broker training sites we host across the country. The purpose of our freight training curriculum is to make learning easier. The program content is an accumulation of 30 years of brokering, trucking experience in the field, and in the classroom. Changes in the transportation brokering industry have been confusing and numerous. 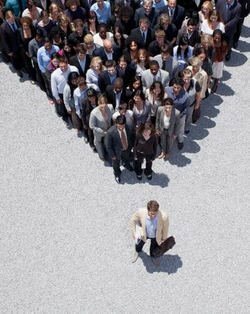 To all our students we guarantee agent placement within our company. This fright broker training class at our Corporate H.Q. in Phoenix Az. You will work on REAL LOADS. Deal with Real Shippers and Carriers within our Truckalocity brokerage. 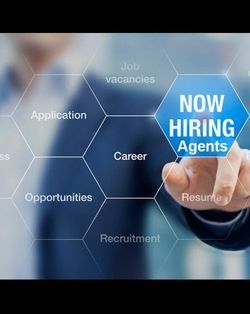 Lean how to become a broker agent. During our private one on one broker classes students will learn brokering, and get the best hands-on training with our live on-site brokerage. Students will book freight while in class. During our private one on one broker classes students will learn brokering, and get the best hands-on training with our live on-site brokerage. Students will book freight while in class. You’ll leave with classroom with knowledge and hands on experience. Specializes in delivering the nation’s premier freight broker training school. Learn more about our freight broker training school along with our in house brokerage. There is no better opportunity than putting yourself right in the middle of actual freight movements with agents and brokers all around you. Unlike other schools we own our brokerage and allow you to get a first hand experience in dealing with real shippers and real freight. Our private classes feature one on one training. With our freight broker training school we will teach you how to start brokering freight with our in-house brokerage. We are not a freight dispatch training school you will learn all aspects of brokering freight. You can work from home with no experience necessary. This will be the only time Loadtraining Freight Broker Training School will be in the Seattle WA. this year.Take advantage of Loadtraining coming to a city near you. We are America’s oldest transportation brokering institution in the country. This freight brokering class will be hosted at our corporate location in Phoenix Az. the first day of class with start at 8:00am all other days will start at 7:00am. This freight brokering class will be hosted at our corporate location in Phoenix Az. the first day of class with start at 8:00am all other days will start at 7:00am. Each day class will end at 3:00pm. LoadTraining freight broker school has graduated thousands of students into the business of freight brokering. No other institution offers to train new brokers to avoid the startup trial and error pitfalls common in the industry. This fright broker training class is 5 days learning and working in a real brokerage. There is no better opportunity than putting yourself right in the middle of actual freight movements with agents and brokers all around you. Unlike other schools we own our brokerage and allow you to get a first hand experience in dealing with real shippers and real freight. Loadtraining school offer an excellent program to get you up to speed on the latest industry trends, technology, and best practices. These can really make the difference when it comes to how your brokerage initially performs when you open up for business, and whether you’ll be successful down the road. One of the most popular and proven ways to get started in brokering is to attend a Loadtraining freight broker class or school. Learn the secrets to success in the freight broker industry from the leading freight broker training school in America! Freight broker professionals are in high demand, no matter the state of the economy. A motivated freight broker, who has received the proper training, has high earning potential. Become a part of the exciting trucking, freight logistics, and transportation industries as a licensed freight broker or agent. Learn more about our freight broker training school curriculum, truck broker technology and freight broker classroom training with a live brokerage. Register for a freight broker training class or request a FREE FREIGHT BROKER KIT TODAY. Work from home, or anywhere in the world with internet access, as a freight agent or freight broker. Loadtraining offers high-quality logistics training. In this class there will be no other students on site the teacher is dedicated to you. The curriculum is the same as our standard hands-on class. View the list of the curriculum you will be taught in class. LoadTraining has graduated thousands of students into the business of freight brokering. No other institution offers to train new brokers to avoid the startup trial and error pitfalls common in the industry. San Luis Obispo, CA Freight Broker Training San Luis Obispo, CA 1350 Osos St. Learn what it takes when an item arrives at a shipping company, it will be packaged and documented. A carrier will then be needed to transport the item to its intended destination. When a shipping company does not have time or resources to find available carriers, they may rely on freight brokers, who are responsible for doing research and investigation required to connect carriers with shipping companies. The freight broker will communicate with both parties throughout the shipping process, ensuring that items arrive as expected. To help with these duties, brokers will often employ freight agents as independent contractors. There are plenty of freight broker agent schools out there, but the secret to success is to choose the right one. Loadtraining is proven to comprehensively support an individual on every step of the journey from student to freight agent. With a profitable career in the transportation industry as the pay-off, it’s well worth spending time taking our course and being prepared to pay a little more for quality training. Loadtraining is among the oldest freight broker training schools. The reason for that is the entrepreneurial spirit of its founder – Mr. Dwinell. Back in the 1980s there were no available resources, but at the same time, truckers needed the sales know-how to succeed. Dwinell started teaching the expertise himself, and his company is still doing this today. Our freight broker training institution has an inspirational story. Its founder, David Dwindle, started doing trucking jobs because he needed the money to support his education in Wisconsin State College-Whitewater. Gradually, he fell in love with the trucking industry. That was back in 1967 when training resources weren’t as readily available as they are today, so David Dwindle had to learn everything the hard way. That’s the reason why he designed his program in such a way as to help his students avoid the common pitfalls of the industry, using textbooks he wrote himself. Class is offered in 5-day Saturday thru Wednesday. 14sep(sep 14)8:00 am18(sep 18)4:00 pmChicago Il. LEARN all the facts on what it takes to become a freight broker at our HANDS ON class in Illinois. Order Your FREE Freight Broker Training kit & lesson TODAY. As the most recognized freight broker training school in America, Loadtraining prides on teaching people how to find freight from shippers. Our freight broker classes are designed to put you right in the heart of freight brokering. It does not matter if you want to become a freight broker agent or a freight broker. Loadtraining will show you how to succeed. 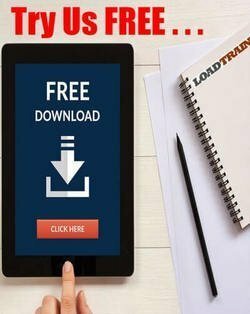 Get more free information on becoming a freight agent or getting your freight broker license by filling out the FREE freight broker training video lesson & 6 FREE books form to the right. You will have instant access after you fill out the form. Freight brokers help shippers that need to move freight from one location to another by finding a freight carrier that will ship the freight for slightly less than the shipper is willing to pay them. The term we call a FREIGHT BROKER! Freight brokers, can also be described as load brokers, truck brokers, or transportation brokers, are all middle men that match available shippers and available trucks while earning upwards of 30% profit per shipment. Freight broker training school will teach you how to start brokering freight with our brokerage agency during our 5 day and private 1-on-1 classes. Only students that take classes at Loadtraining school are eligible to become a freight broker agents of Truckalocity. Majority of freight agents/brokers operate from home or their own office. We also specialize in helping those that drive trucks start their new brokering business while on the road. We are honored to have helped tons of veterans learn how to succeed in starting a new business.